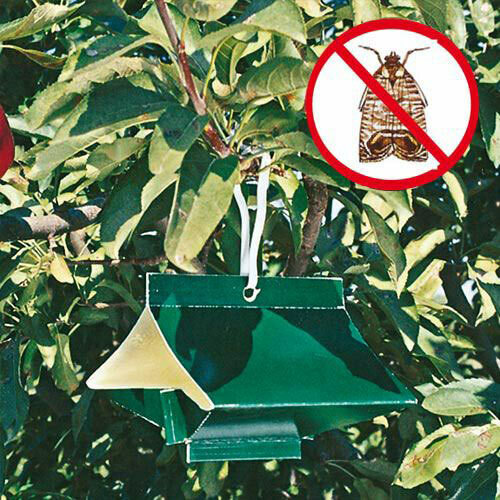 Apple Pest Trap | Gurney's Seed & Nursery Co.
A unique technology releases the pheromone scent of both codling moths and oriental fruit moths continuously, in tiny amounts, for up to 8 weeks. Use two traps per mature full-size tree, one for a Li'l-BIG tree. Traps should be put in place in early spring, at least 2 weeks before buds break. Replace lure after 8 weeks.